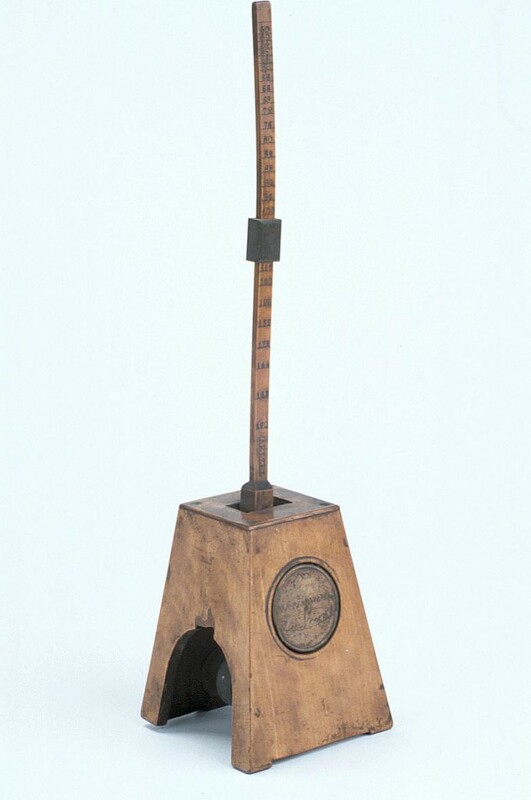 Metronome, c.1830, (Inv. 40764). Much older than the metronome in Lynn’s story, this object forms part of the collections at the Museum. Story: When I started learning how to play the trombone my mom bought me a wind up metronome, an old fashion one. I had this metronome for years, but it mostly lived in a drawer. One rare day I took it out to practice with. As I was practicing something felt wrong. After a while I realized the metronome was speeding up and slowing down. I went and convinced my mom I needed a new electric metronome. She went and got me one even though she was pretty sure the old metronome wasn’t broken. It was only later when I was practicing with my new metronome that I realized that it wasn’t the metronome changing tempo, it was me! The technology and the science behind it worked fine. I was the one messing up!